Five pounds of sweets. This will keep a crowd happy especially with the great varieties of candies inside this bag. Halloween, Christmas, Valentines day, Summer picnics, back to school treats. 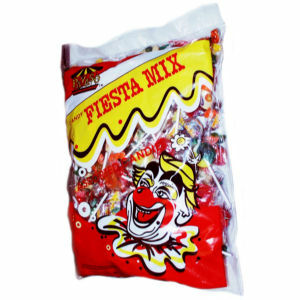 Year round is the time to enjoy our Payaso Fiesta mix of candies.